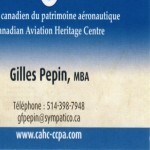 I am the researcher/model builder for the Canadian Aviation Heritage Centre. I am a retired investment banker. As a volunteer, I donate my time building commissioned models, and the tax-deductible proceeds go directly to our Museum. Airfix 1/24 Mosquito modified to a Mk.IX. Lengthy coverage of my build by Airfix: 110 page review: available upon request. Noseing closer to the goal line! Please indulge me. But I really didn’t know where to place this…1941 Dodge truck..